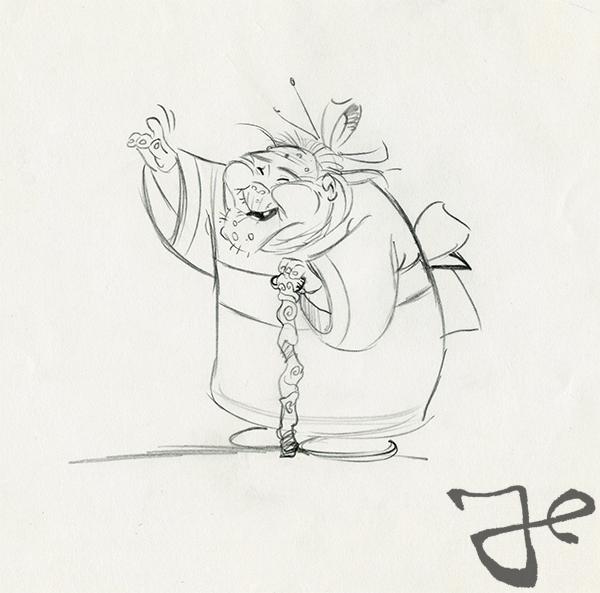 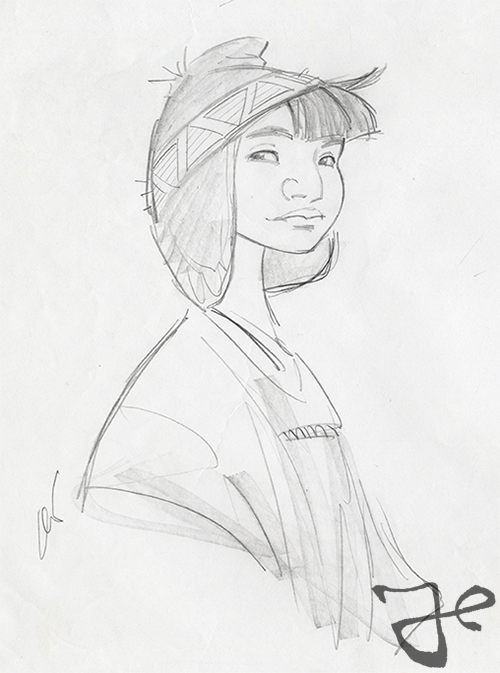 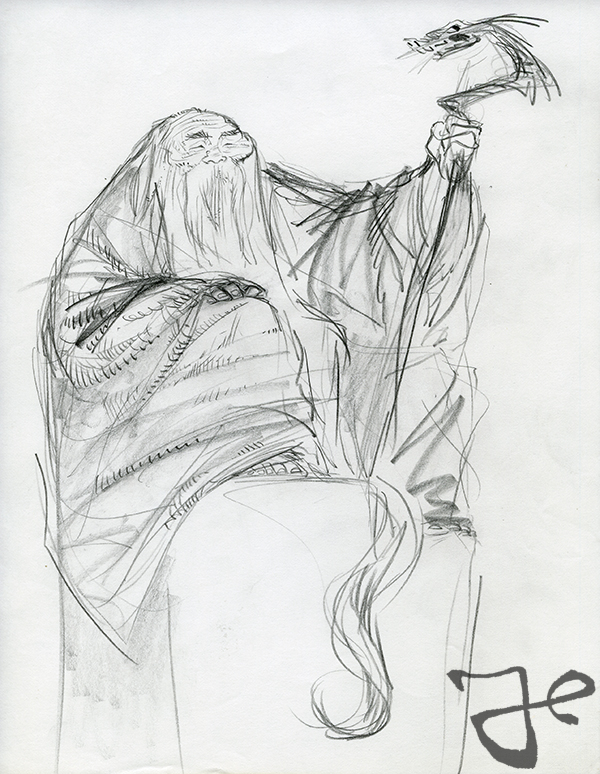 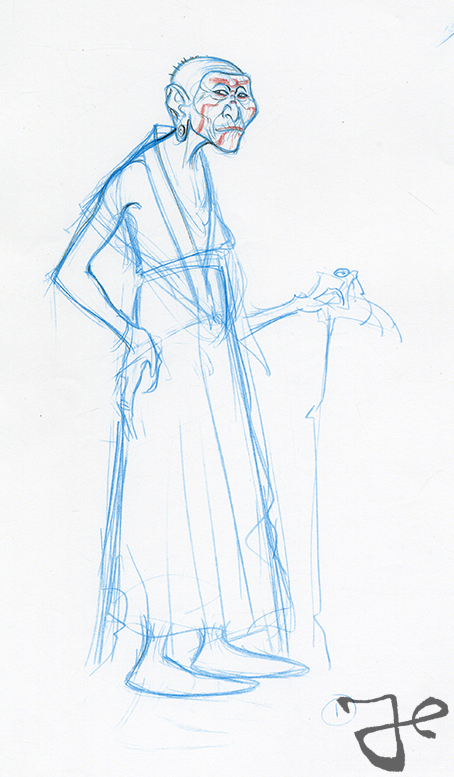 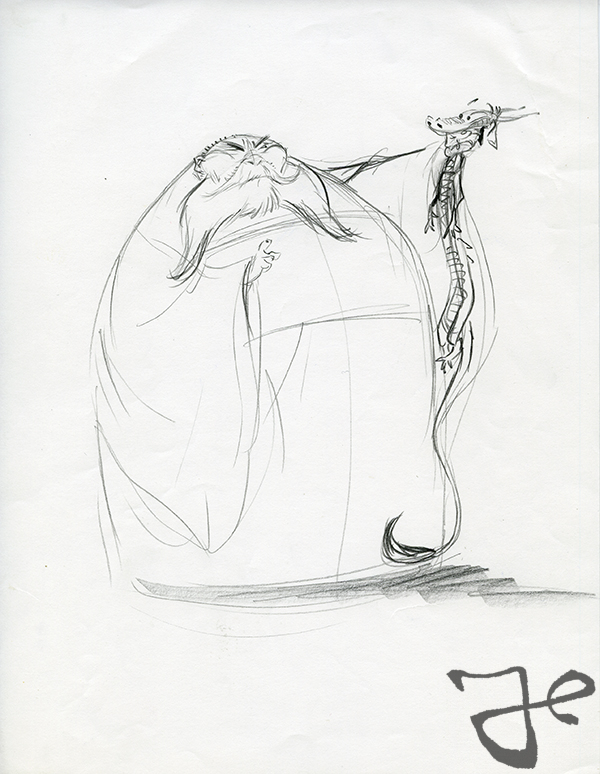 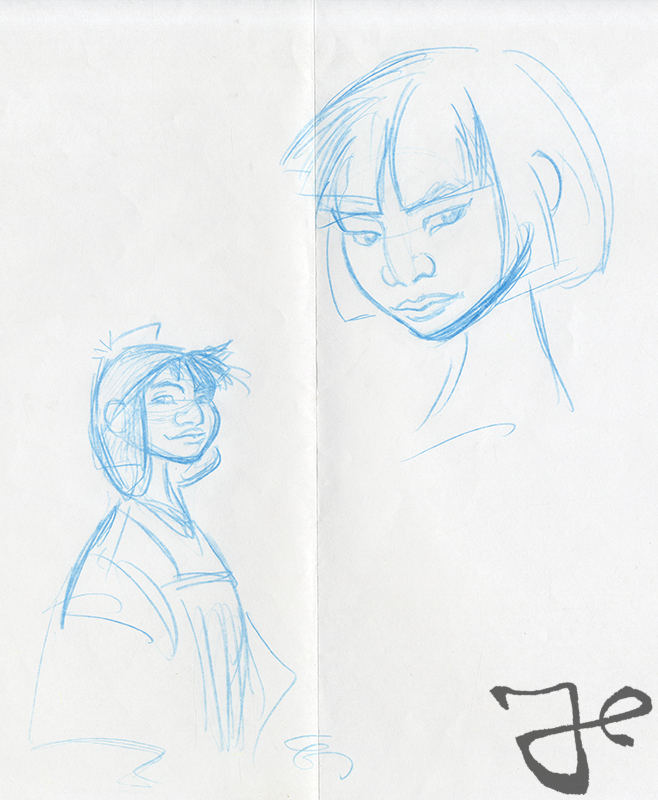 In the summer of 1995 Harald Siepermann worked for Walt Disney Feature Animation on the project Mulan, that had been in development for more than a year by then. 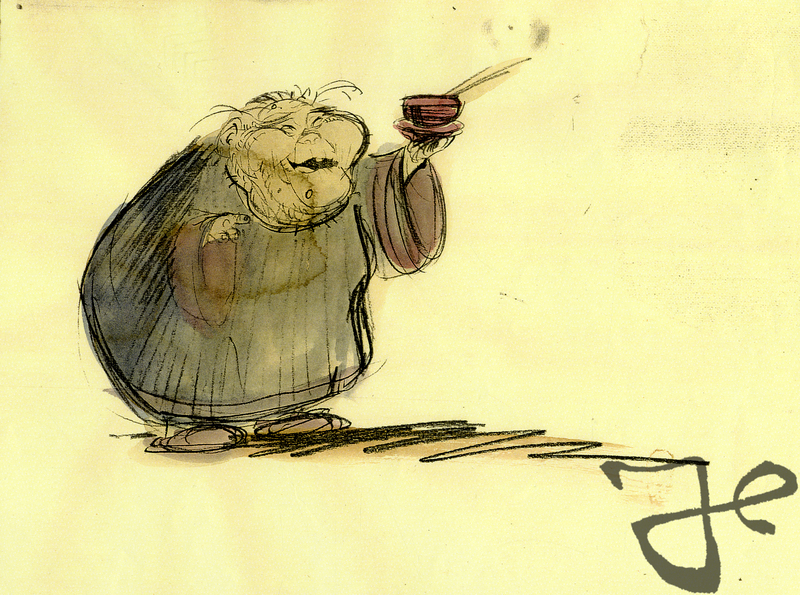 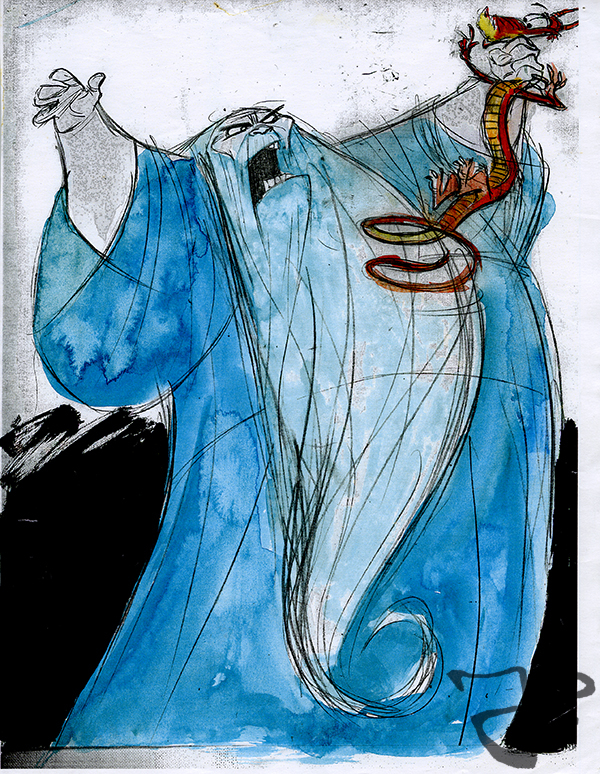 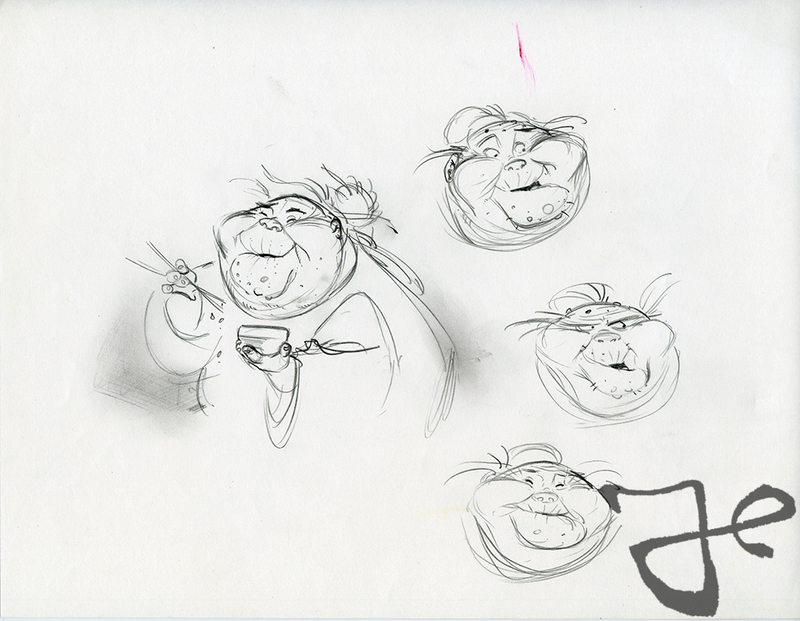 Initially Siepermann worked on the little dragon character Mushu, but moved on to work on other characters as well, among them Grandmother Fa. 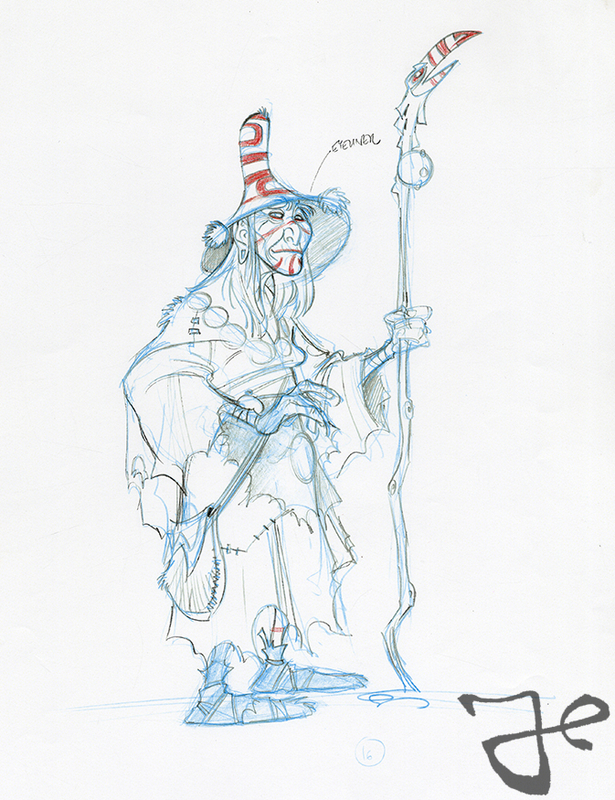 Here are some of Harald Siepermann’s Visual Development work for that character. 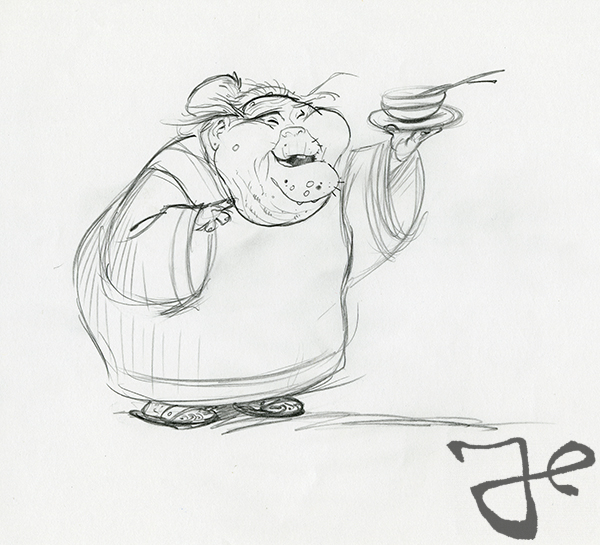 More designs of Grandmother Fa will feature in a future post. 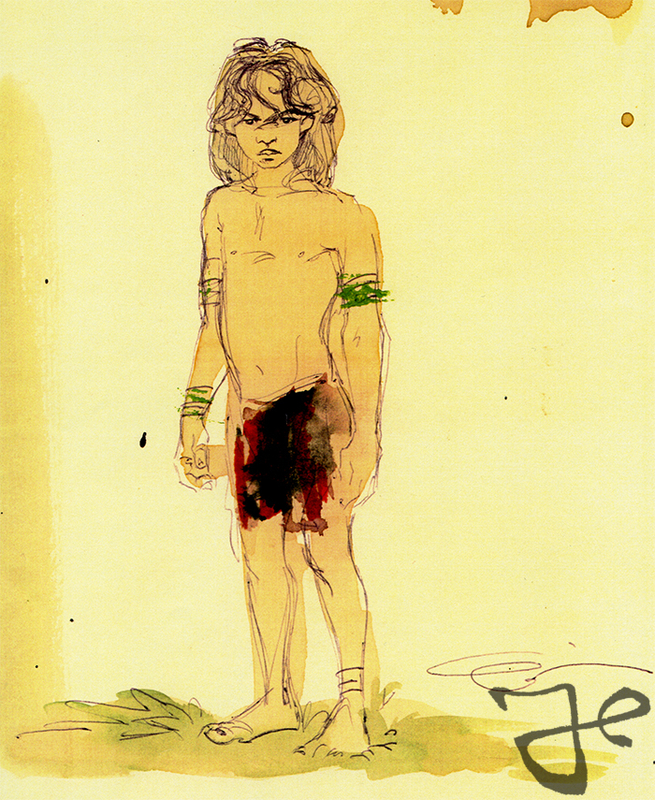 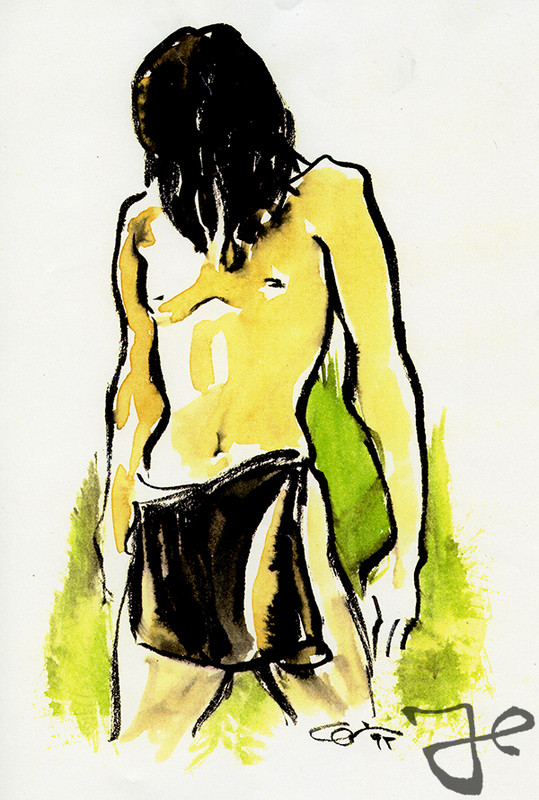 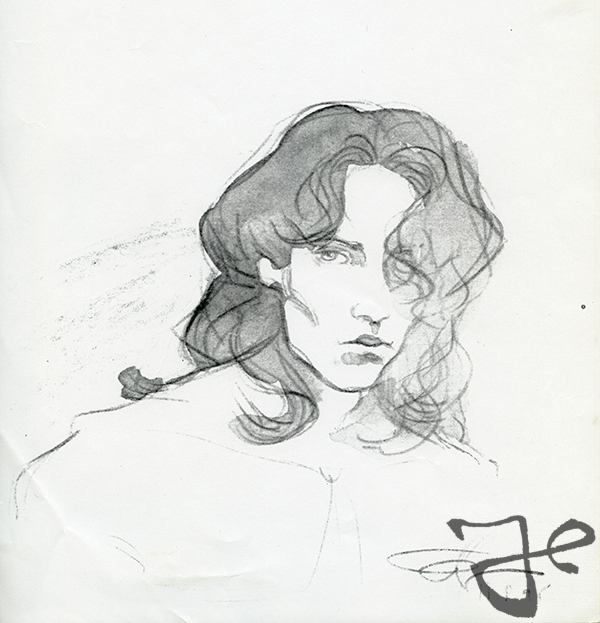 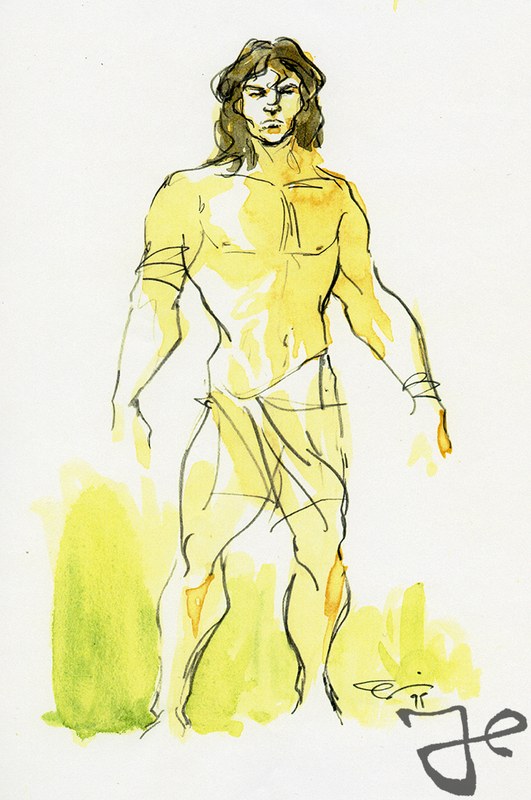 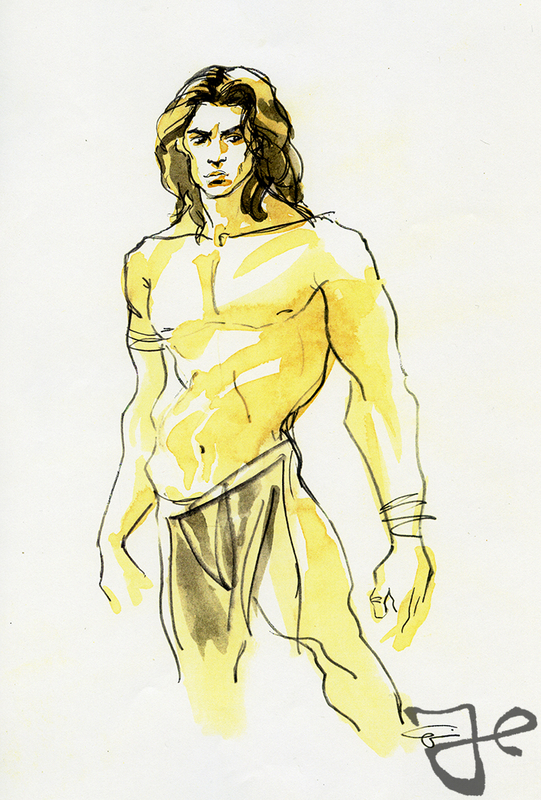 Here are some of Harald Siepermann’s exploration for the character Tarzan. 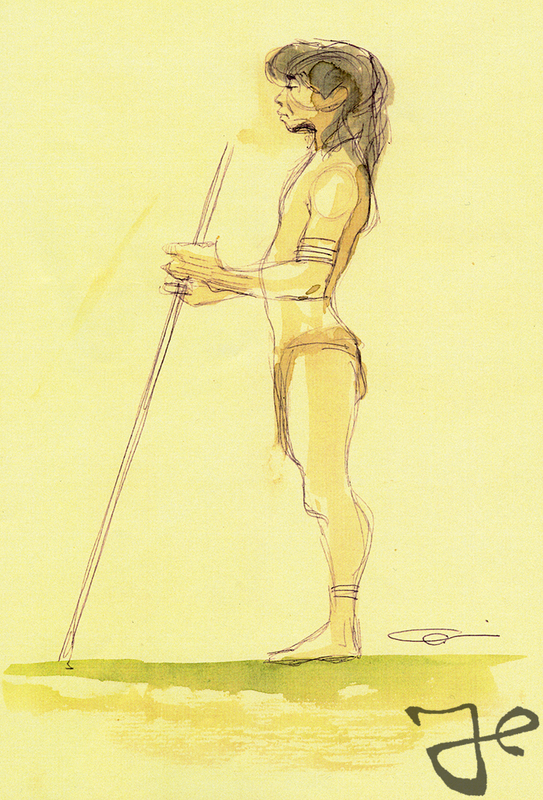 In contrary to the other human and gorilla characters from Tarzan, on which Siepermann worked for more than two years, he didn’t continue with the development of the character Tarzan. 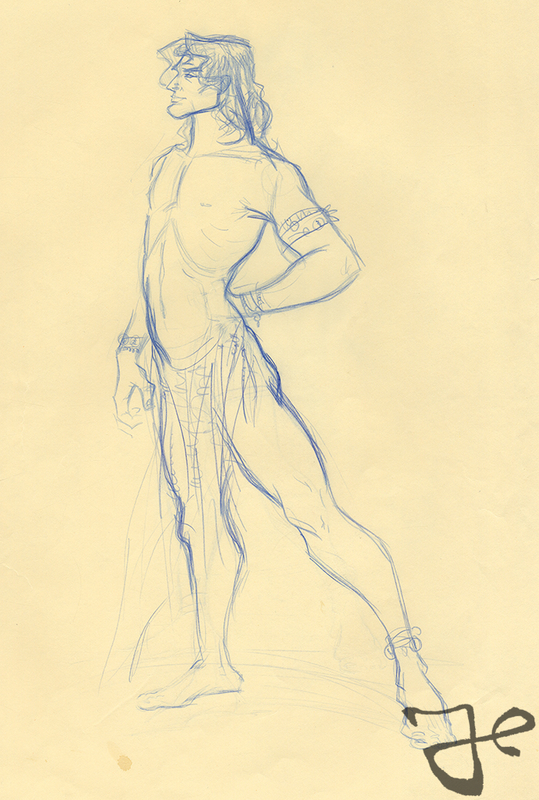 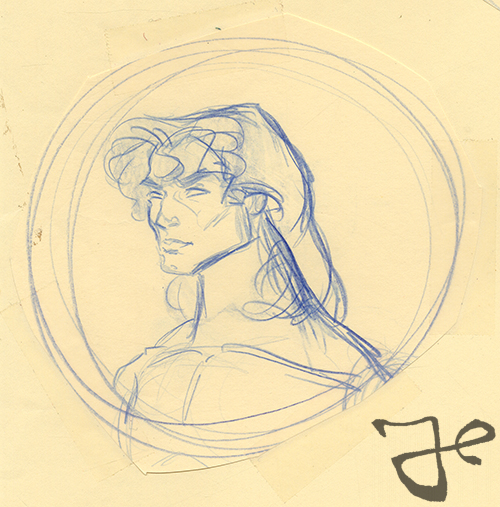 Glen Keane was the Supervising Animator of Tarzan, and did his wonderful work on the character at the Walt Disney studio in Paris, France. 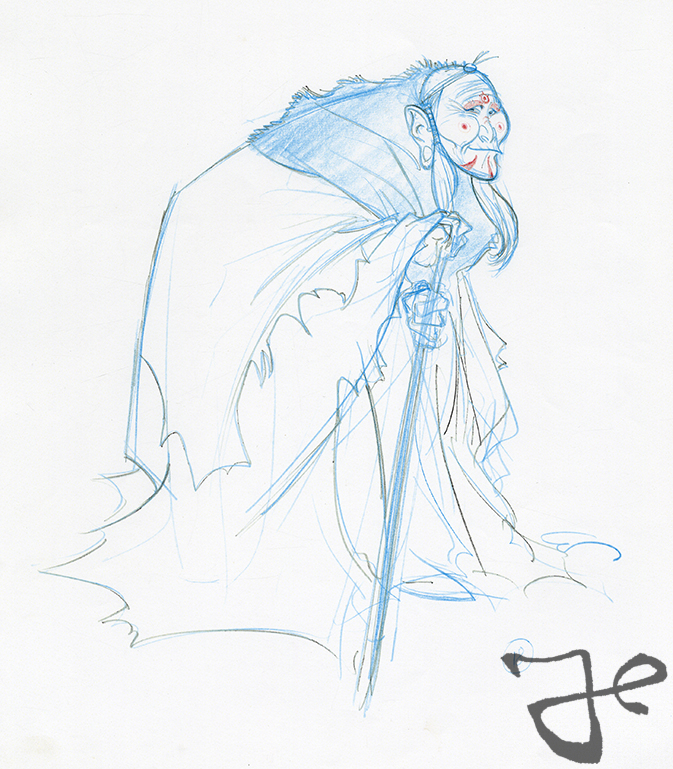 Between November 1998 to November 2000 Harald Siepermann worked on the Visual Development of the Walt Disney movie Brother Bear. 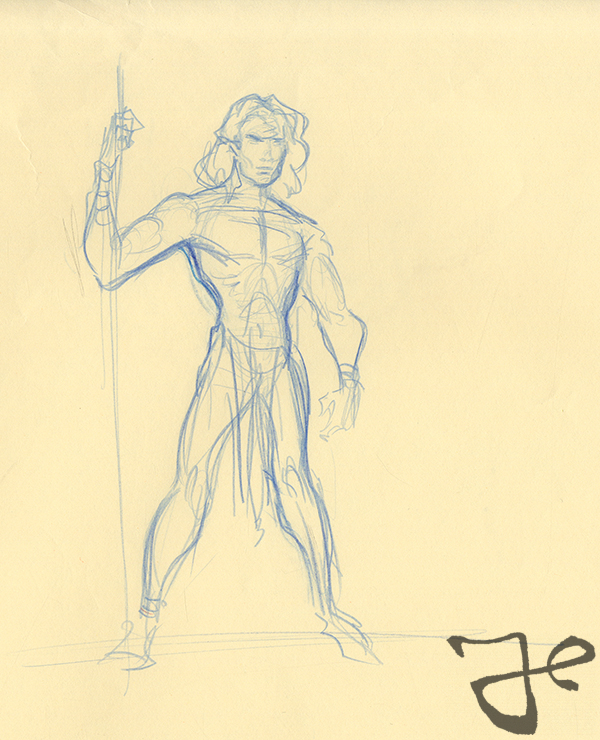 During this period Visual Development was frequently put on hold for an extensive rewrite session, because the movie experienced some challenges in this area. 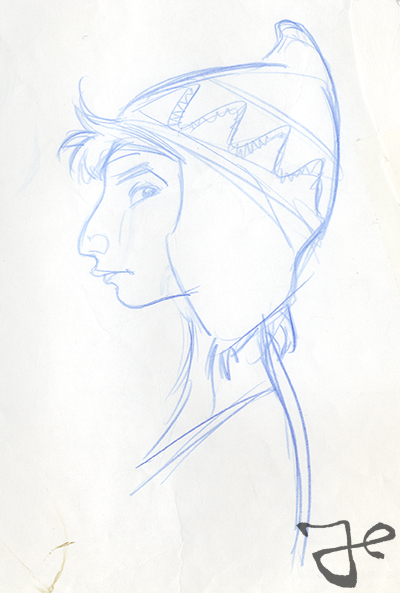 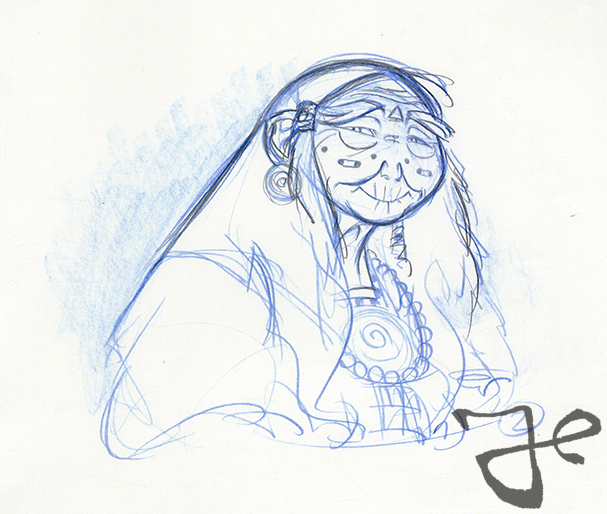 The first character Siepermann worked on was Tanana, the shaman of the tribe. 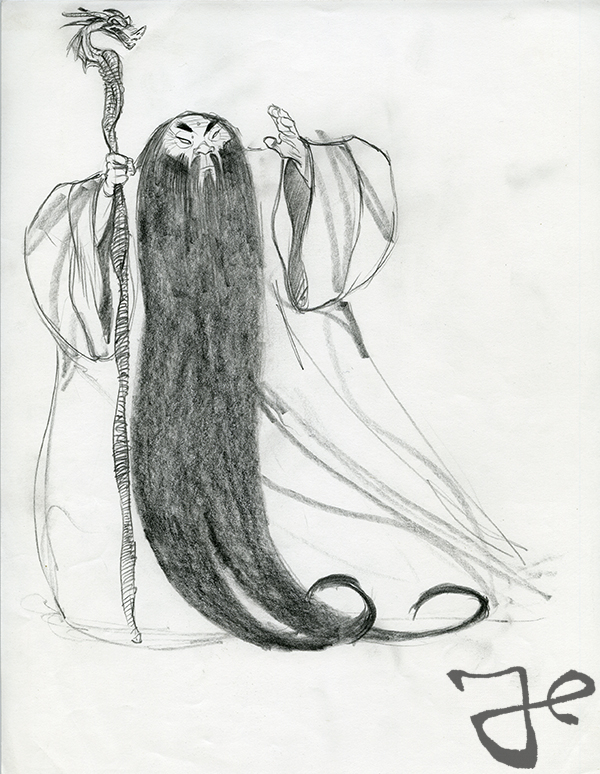 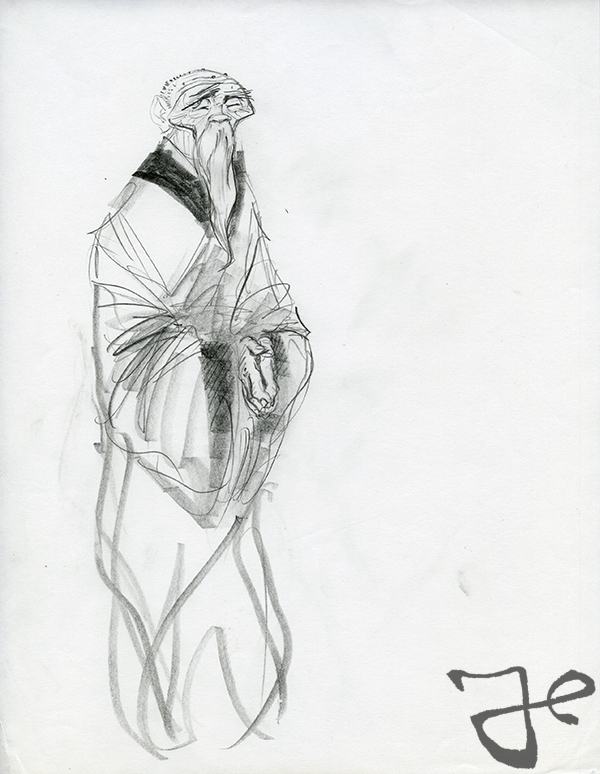 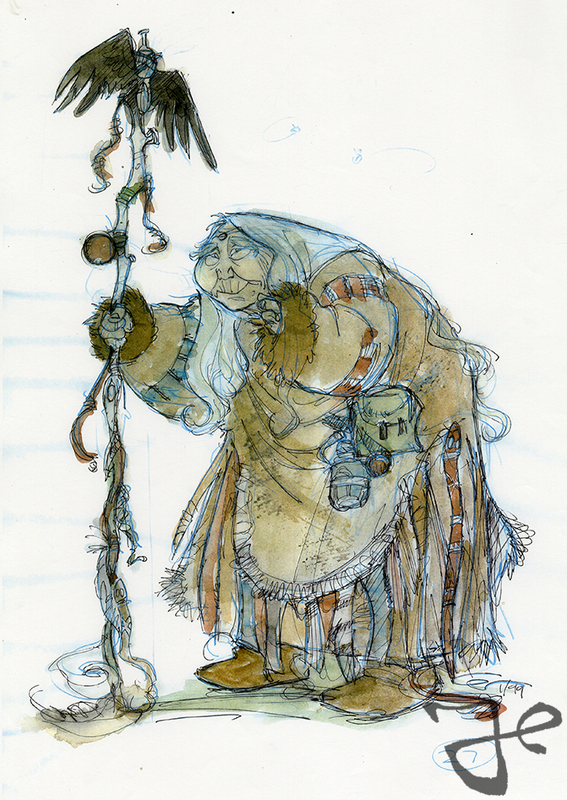 His first designs were in the direction of what you would expect from a shaman, an old wise lady with long grey hair. 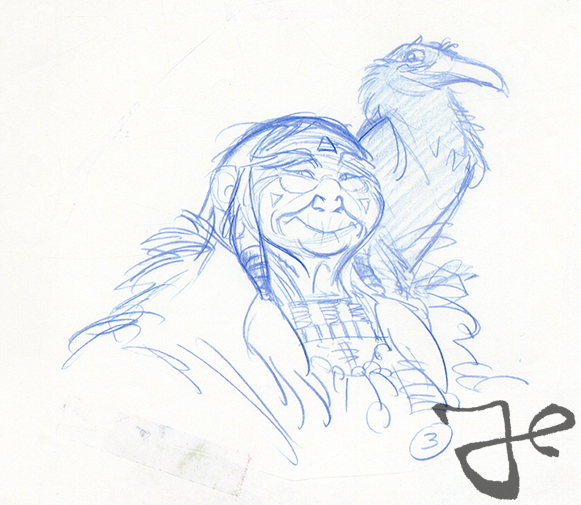 During the rewrite process of Brother Bear the character Tanana was dropped from the movie, or better said, put aside. 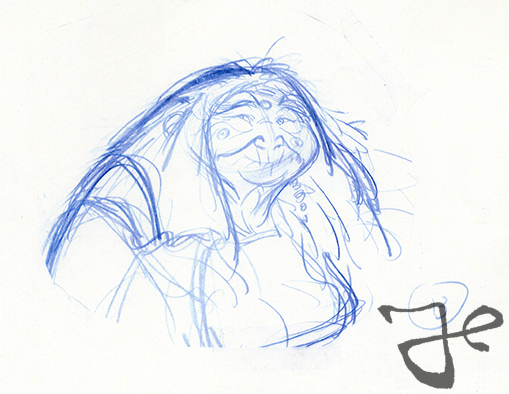 Once the story reached its final shape, she was resurrected to state the rules of Kenai’s transformation into a bear. 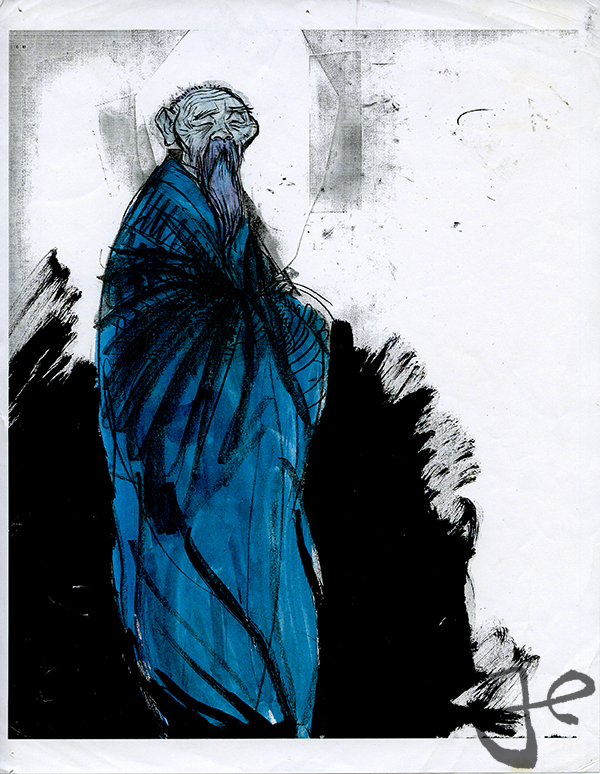 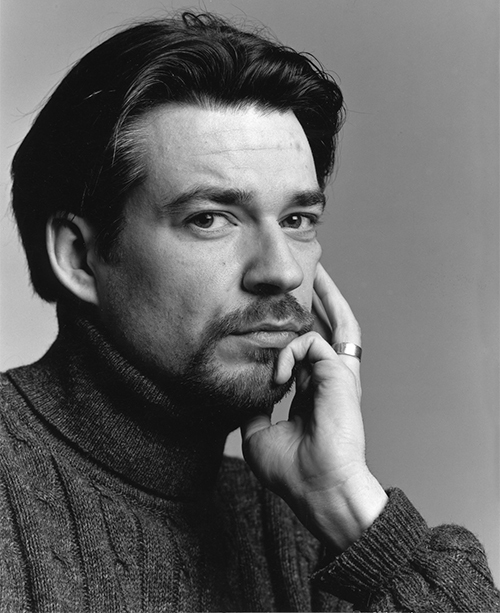 Once Tanana was back, Harald Siepermann made a new series of designs, in a complete different direction. 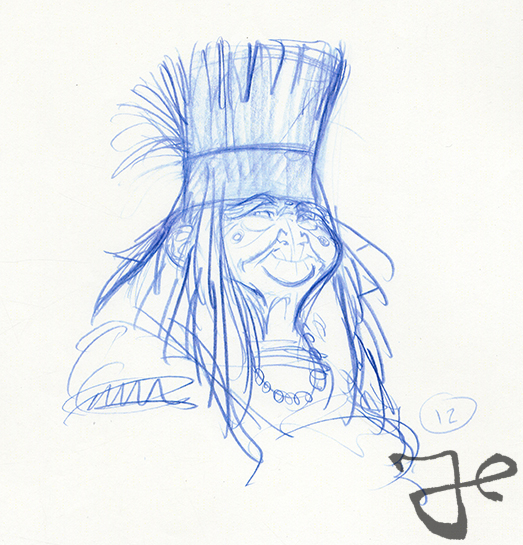 “When we first started with the design of Tanana, the village’s shaman, she looked like how shamans usually look in these kind of movies, until we thought that maybe we should try something else and started to make her look less like Pocahontas’ grandmother Willow or even Yoda,” Harald Siepermann explained. 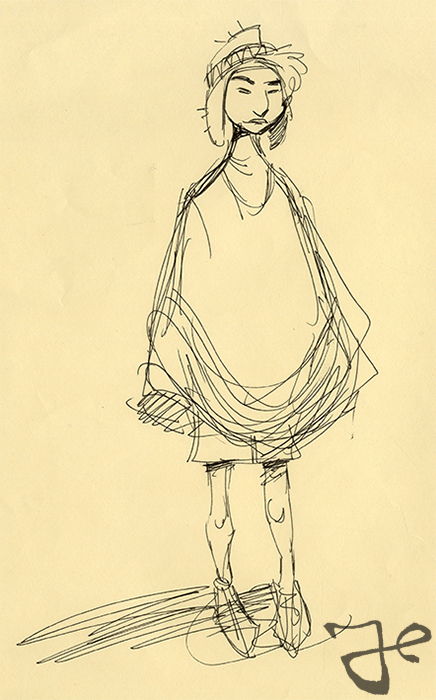 “So I did some drawings in which she was tall, bald and skinny. 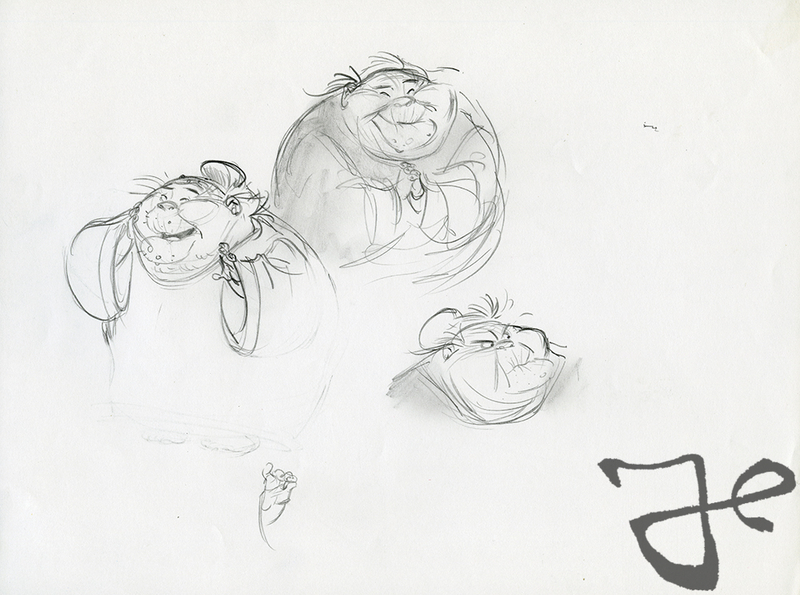 I liked that approach very much, but others, like Michael Eisner for example, didn’t and so they went back to the original design.” Here are some designs of Siepermann’s new approach for the character. 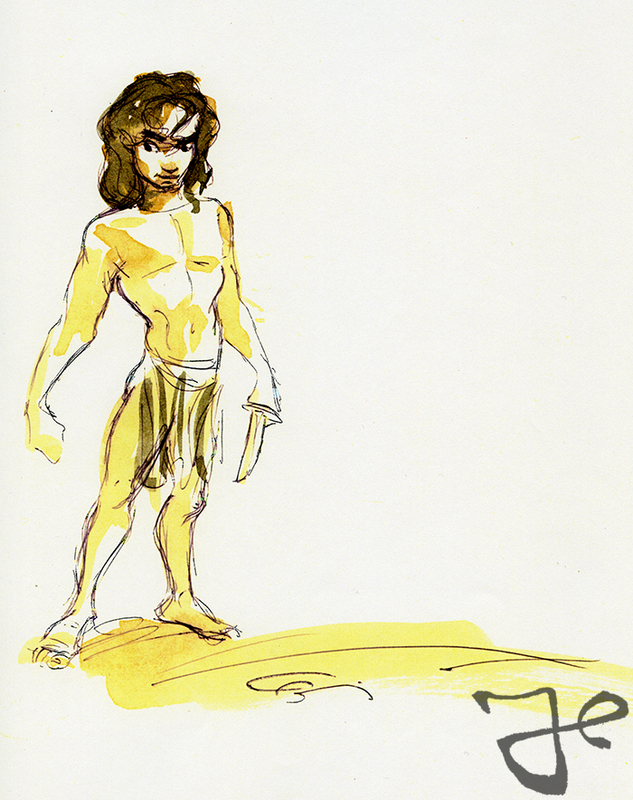 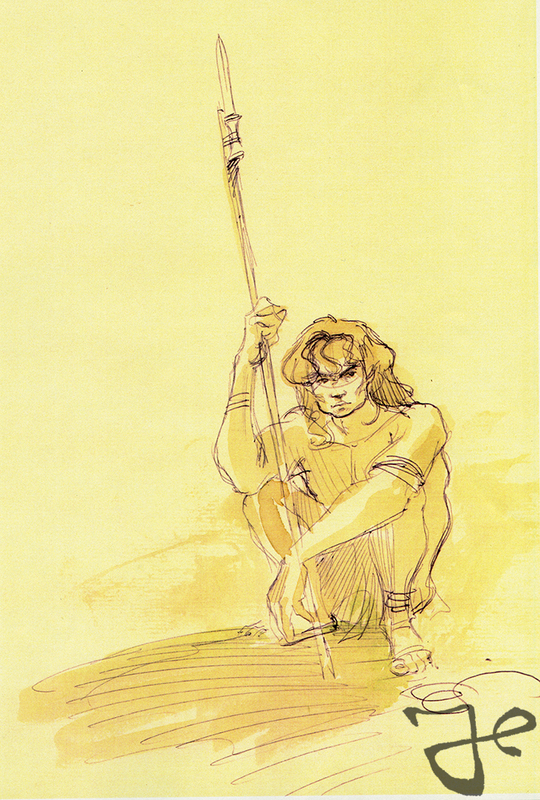 While Harald Siepermann was still working on the movie Tarzan, simultaneously he was involved in another production at Walt Disney Feature Animation called Kingdom of the Sun, under the direction of Roger Allers. 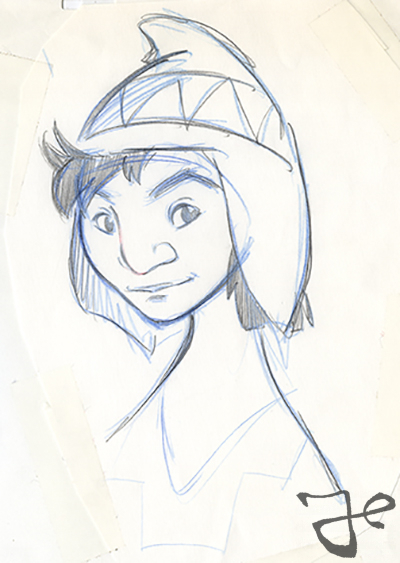 The story was about a spoiled and selfish prince named Manco who meets Pacha, a sixteen year old llama herder, who looks exactly like him. 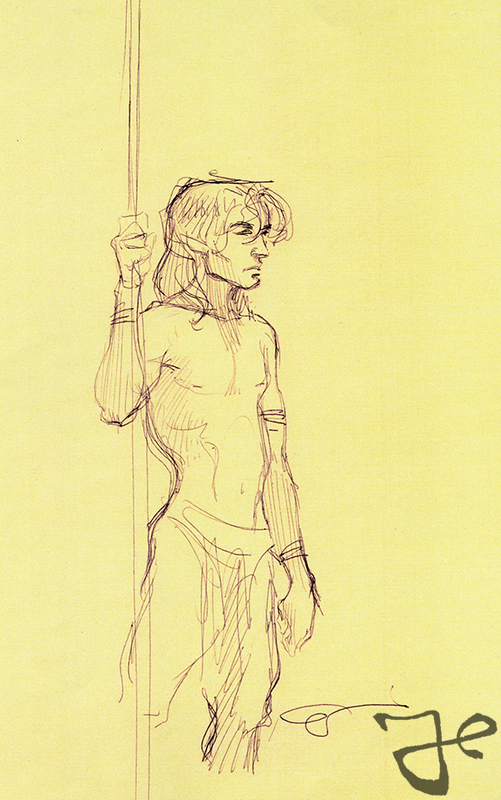 To avoid his duty as royalty, Manco switch places with Pacha. 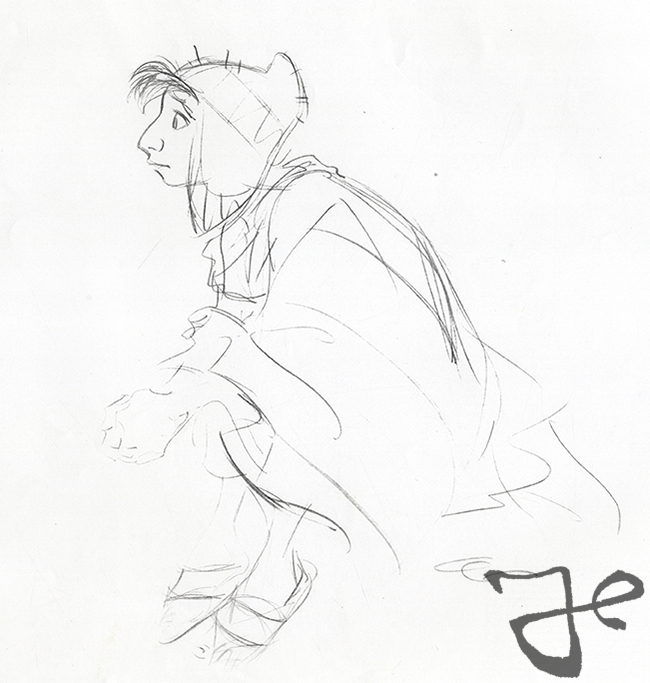 During the development the story and its characters underwent drastic changes. 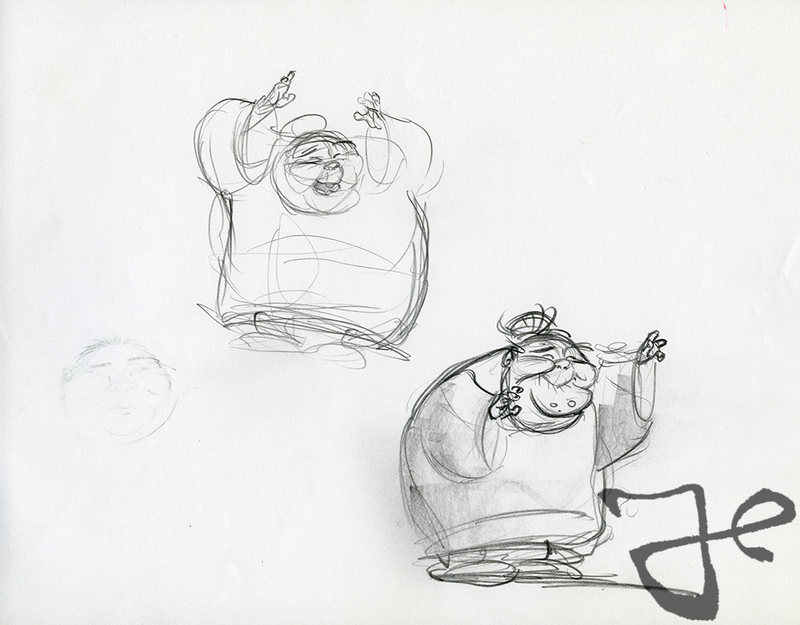 Eventually the movie was released in 2000 under the title The Emperor’s New Groove. 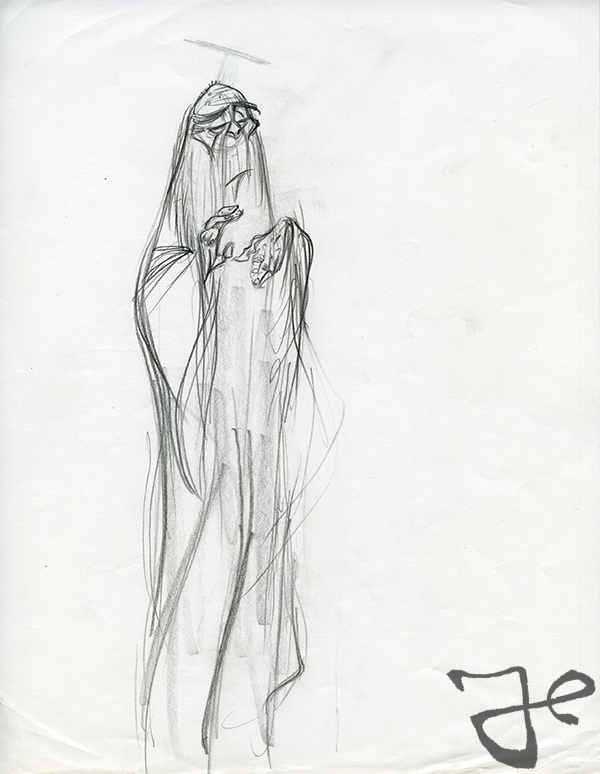 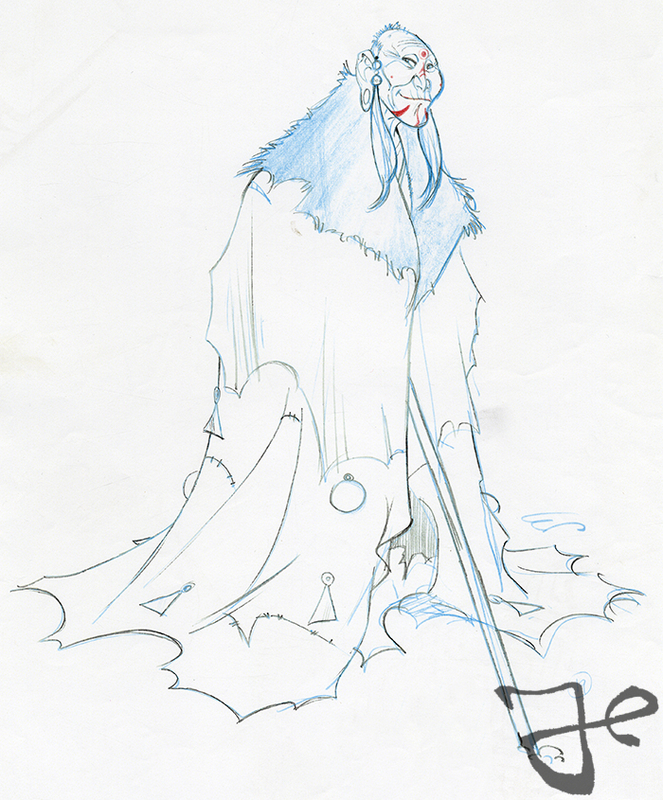 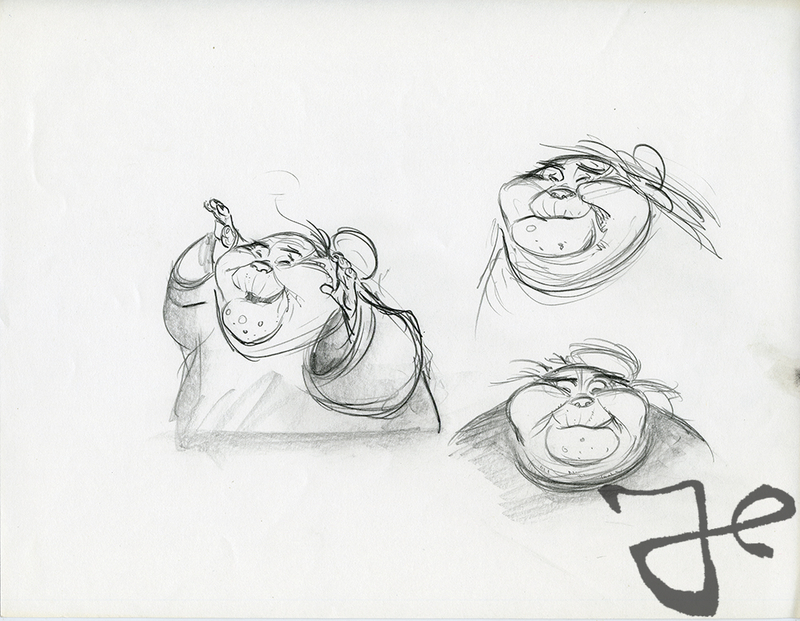 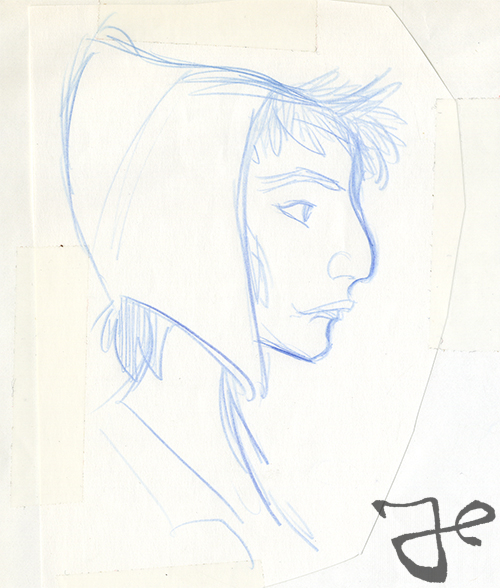 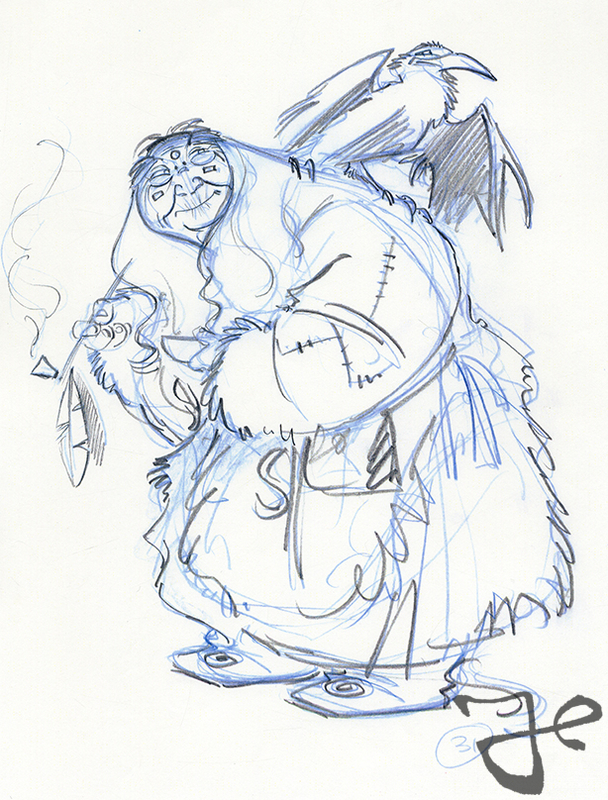 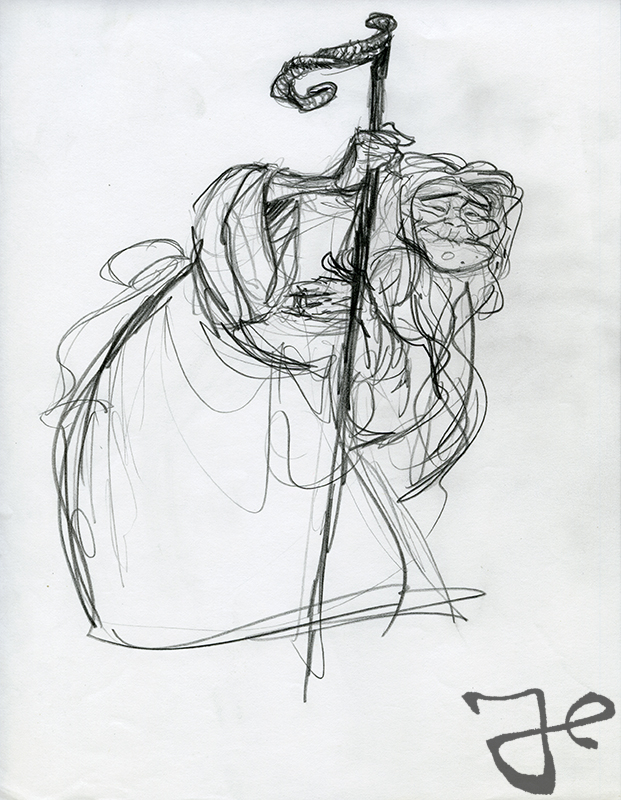 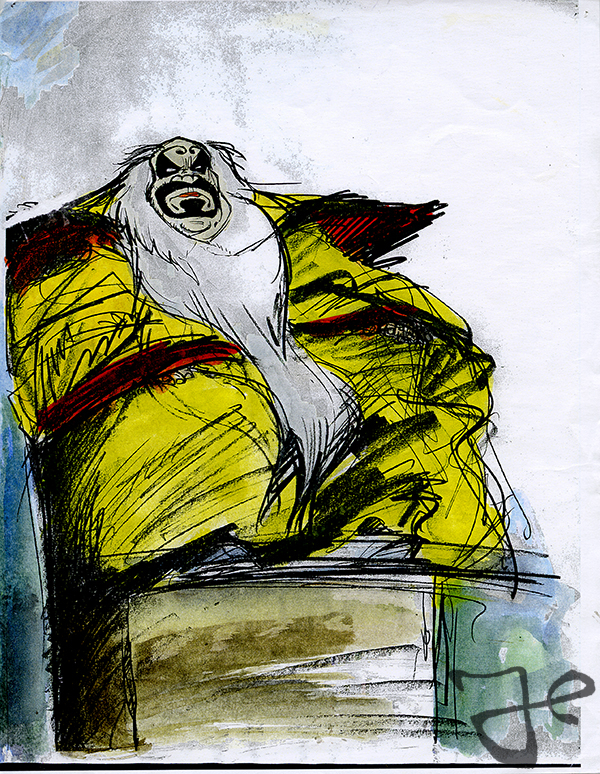 In addition to the character Yzma and the llamas, Harald also made designs for Pacha, that during that time in production looked completely different than the final version that was voiced by John Goodman. 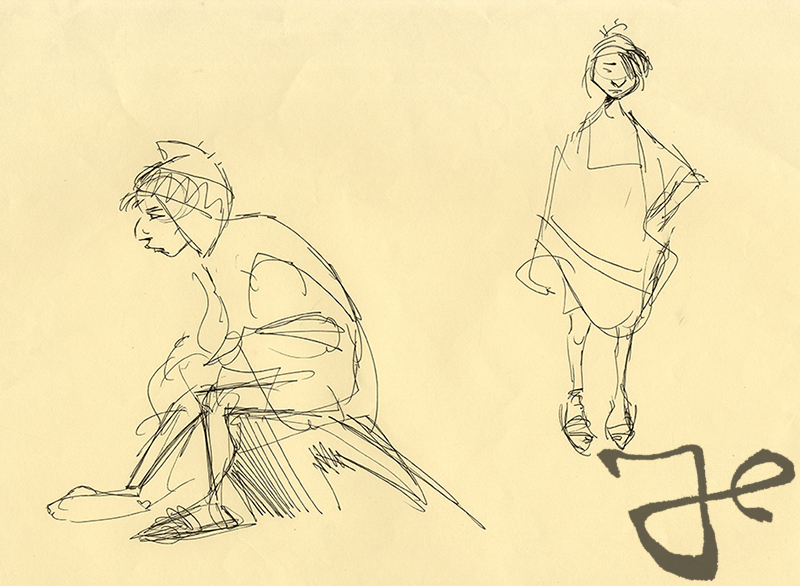 Here are some of Harald Siepermann’s Pacha designs. 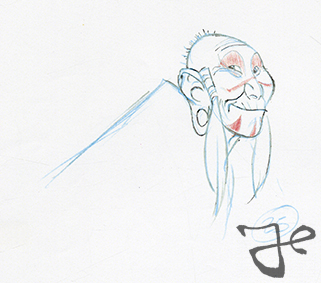 In the summer of 1995 Harald Siepermann went to Burbank, California, to work at the Walt Disney Feature Animation building on the production Mulan. 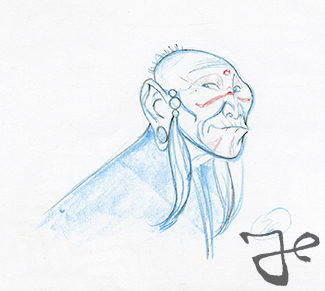 Some of the characters he worked on were the Ancestors. 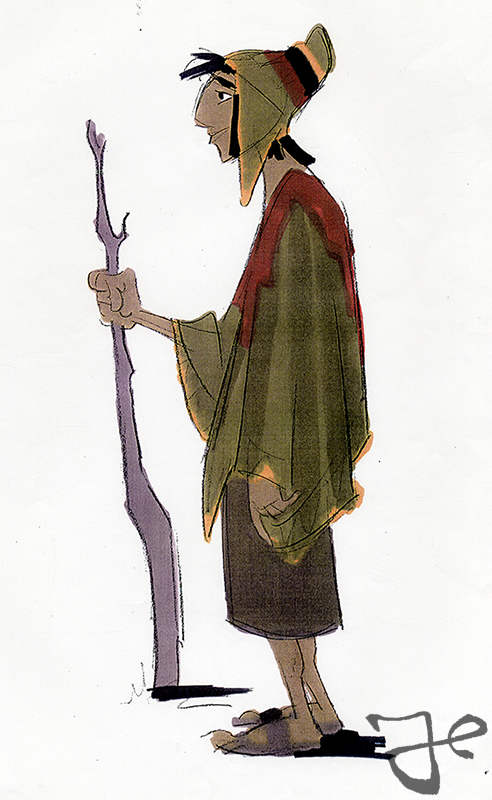 Here are some of his designs.